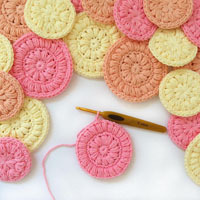 In this DROPS video we show how easy you can crochet a cord. 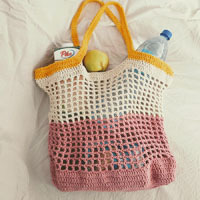 Crochet up 1 loop in 3 stitches where you want the cord to start, eg in the edge of a bag. 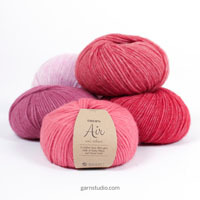 Make 1 yarn over and pull it through all 3 loops – this is like working 3 stitches together. 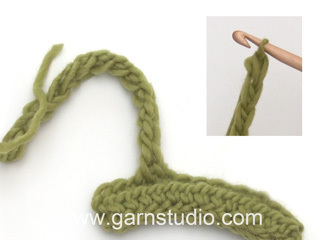 * Make 1 yarn over, insert the hook into the first of the 3 stitches below. Pick up the strand at the front of the piece (i.e. work in the front loop of stitch) and pull the strand through = 3 loops on hook, make 1 yarn over and pull through all loops on hook *, repeat from *-* to the desire length of the cord. Instead of inserting the hook into the first of the 3 stitches below, you can also insert the hook into the middle stitch below (this is done on the other cord we show in the video).